Today’s poetry news roundup takes a look at articles about a new culture centre opening in honour of a poet, a young poet facing three years in prison and the keynote speaker for this year’s Children’s Media Conference. A cultural centre to the Korean poet Yun Dong-ju is to be opened in Shenyang, in the north-eastern Liaoning province. The poet lived in Korea during the Japanese occupation of the country in the first half of the 20thcentury. The centre will house a 300-seat auditorium and an exhibition hall which will be dedicated to showcasing the life and poetry of Yun. Yun’s parents move to Longjing during the colonial period and he was born there in 1917, he died in a Japanese prison in 1945. 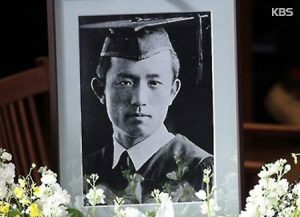 He had been serving a 2-year prison sentence having been charged with taking part in the Korean independence movement. The republic of Somaliland, which is self-declared, an autonomous region of Somalia, has handed a three-year jail term to a poet. For the crime of advocating that Somaliland should be reunited with Somalia, the poet Nacima Qorane was deemed to be guilty of contempt. 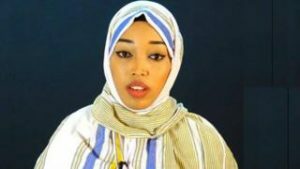 She was arrested in January on her return from Mogadishu, the Somali capital where it is alleged that she had recited poetry that called for the unity of Somalia. Since 1991 Somaliland has been in a state of self-declared independence, this is however not recognised on internationally. Following a ferocious civil war north-west Somalis broke away and declared its independence – there are 3.5 million people living in Somaliland. Nacima Qorane is not the first person to be arrested for this offence, a number of artists and journalists have suffered the same fate. 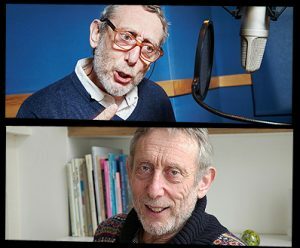 Michael Rosen, the former Children’s Laureate has been chosen to give the opening keynote this year at the Children’s Media Conference (CMC). The conference will take place from 3rdto 5thJuly in Sheffield. Rosen is the perfect choice for opening keynote speaker. Not only has he worked in public service broadcasting for many years, he has also been involved in children’s theatre and educational publishing. He has also published in the region of 200 books, aimed at both children and adults, over the course of his career including the very popular children’s book We’re Going on a Bear Hunt. Most recently he has become something of a phenomenon on YouTube with his channel Kids Poems and Stories with Michael Rosen gaining over 200,000 subscribers and over 40 million views. Rosen is the recipient of a number of honorary awards, which include degrees from many universities. He received the Eleanor Farjeon Award for outstanding contributions to children’s literature. He has also been made a Chevalier de l’Ordre des Arts et des Lettres for the contributions he has made to the profile of French culture in the UK. The Children’s Media Conference is in its 15thyear.